If you suffer from carpal tunnel syndrome, receiving treatment is critical to prevent further injury. Treating this condition with physical therapy can be very beneficial for you. However, you’ll need a dedicated physical therapy team to help you get all the possible benefits of the treatment. Advent Physical Therapy can help you treat many different types of work-related injuries. We’ve been helping people in the greater Grand Rapids, Michigan area find relief since 1996. During this time, we’ve developed a two-part approach to all our treatments. The first piece of our approach is using evidence-based physical therapy to treat your injury. The second piece of this approach is to ensure that you’re an active partner throughout your treatment process. 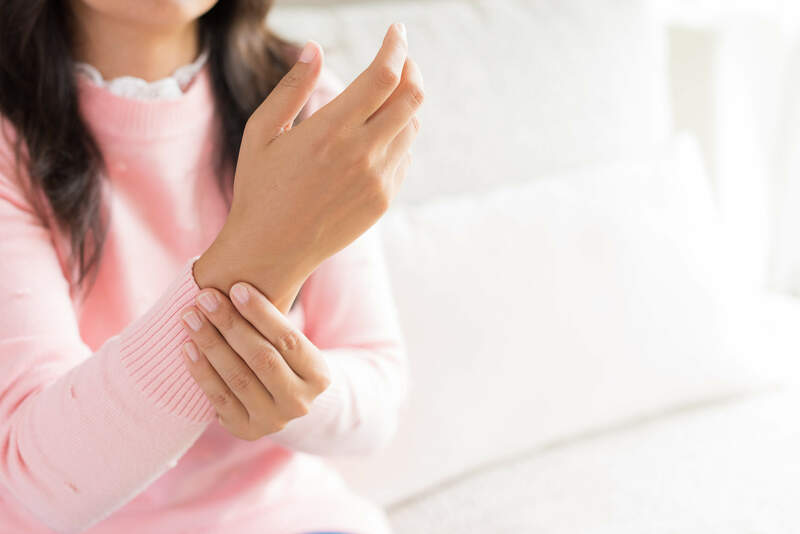 By combining these two parts, we can help you realize the benefits offered by our carpal tunnel treatment plans. Carpal tunnel treatment based on physical therapy techniques has one primary aim: to heal a condition called carpal tunnel syndrome. Also, this type of treatment can have four specific benefits for you. Carpal tunnel syndrome is caused by pinching of the median nerve. This nerve that runs through a narrow passage on the palm side of your wrist. It’s this narrow passage, known as the carpal tunnel, which gives this condition its name. Carpal tunnel can cause you to experience several different symptoms. These symptoms can include pain, tingling and numbness in your wrist, hand or arm. There are several different kinds of workplace tasks that can increase your chances of developing carpal tunnel syndrome. One of these tasks is excessive amounts of typing with poor wrist posture. Another task that can increase your likelihood of developing this condition is using vibrating tools regularly. You should be especially aware of symptoms of carpal tunnel syndrome if you were job sounds like either of these two tasks. Are you interested in getting these four benefits from your carpal tunnel treatment? The Advent Physical Therapy team makes it easy for you to begin your treatment process. We offer free 15-minute screenings to first-time patients. Contact one of our 13 locations in the greater Grand Rapids, Michigan area now to begin your carpal tunnel treatment.